Data scientists have often been siloed from the business, creating models that often never see the light of day in the enterprise. Now Yellowfin brings together data-science models, corporate data, and different business units with a single platform, so that data-science models are leveraged throughout an organization. This doesn’t take away any of the skill and science that goes into creating data-science models. It just makes it faster to seamlessly productionize these models into a corporate enterprise environment, making them more accessible to more people. Yellowfin’s transformation capabilities enable you to pull in your model via a transformation widget to produce a seamless flow into your environment. 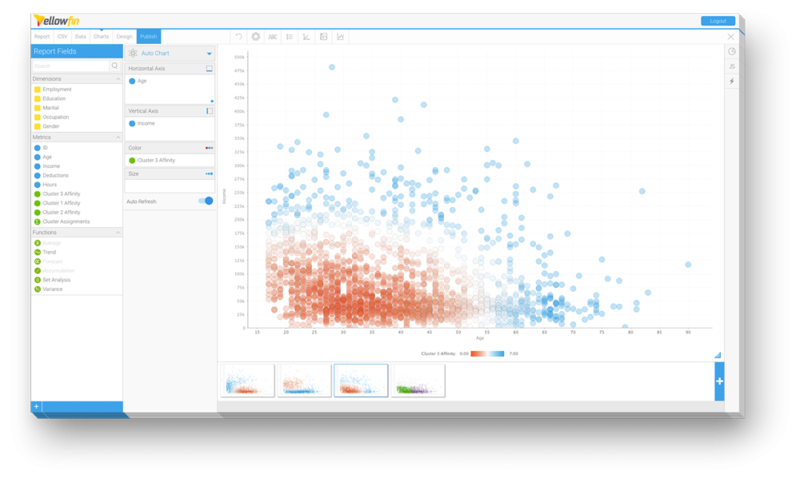 Through advanced functions in the Yellowfin report builder you can tap directly into your models to run post-query analysis across your data and instantly visualize your insights. with new plugins constantly being updated in the Yellowfin Marketplace. 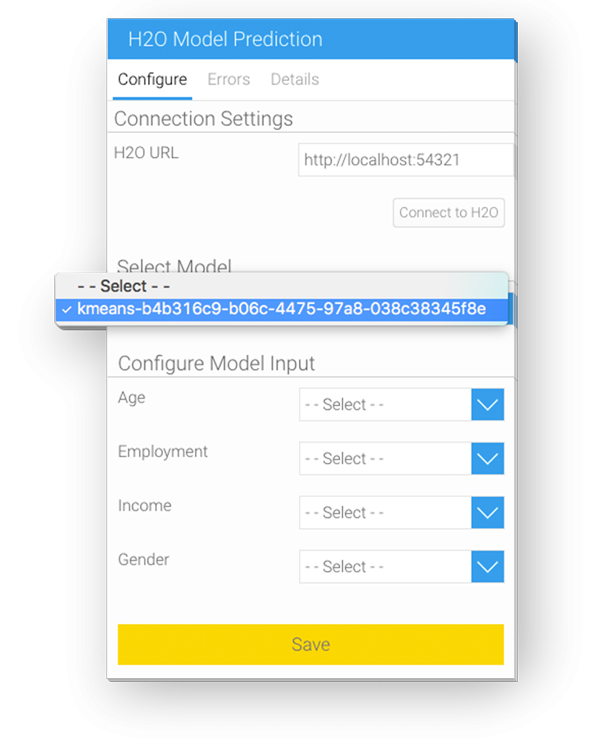 Your models can be stored locally or you can tap into a number of popular web api’s. Just tell Yellowfin your location. Let us show you the best analytics products on the market, including the only automated analysis and cross-vendor storytelling products available anywhere.